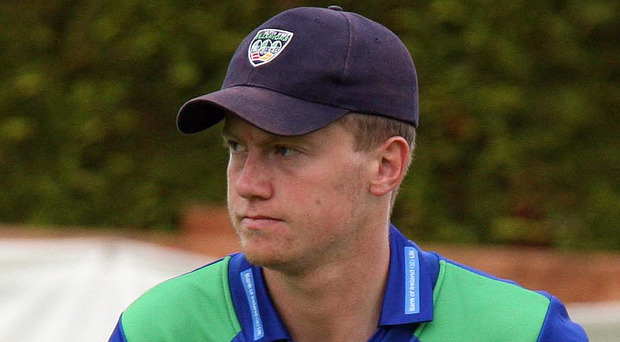 Boyd Rankin is the notable absentee from the North West Warriors line-ups for this week's inter-provincial clashes with Leinster Lightning, starting with the One-Day Cup game at Eglinton today (10.45am). The Ireland pace man played in only one of the four Twenty20 internationals in Holland last week as he was eased back from injury, and he will have another week's rest ahead of the two T20s against India in Malahide next week. The good news for coach Ian McGregor is that David Scanlon is available again after missing Warriors' T20 clash against Lightning with back spasms. The other new face in the squad is Fox Lodge slow bowler Aaron Heywood, who has played one T20 but is likely to be 12th man this week. While Warriors have named the same squad for both games, Lightning will be without Kevin O'Brien and Eddie Richardson for the first-class game at Bready, which starts tomorrow, and have been forced into a late change after Tyrone Kane was forced out with a badly cut finger, which required stitches, sustained in Merrion's Irish Cup game against CIYMS on Sunday. Max Sorensen was last night named as his replacement. Richardson is unavailable for the three-day clash, while O'Brien is resting his 34-year-old body between the trip to Holland and Sunday's T20 game against Sussex at Arundel, a testimonial for recently retired international team-mate Ed Joyce. Their replacements in the three-day team are Merrion left armer Tom Stanton and Jarred Barnes, who was injured in the game against the Knights but has returned to action for YMCA. Meanwhile, Gallagher Challenge Cup holders CIYMS were last night drawn at home to Irish Cup holders Waringstown in the plum semi-final at the end of the month. And in the draw for the Bank of Ireland Senior Cup semi-finals, also made yesterday, holders Donemana will face Brigade at The Holm, giving Championship side Newbuildings the best chance of reaching their first cup final with a home tie against Eglinton. Lightning: G Dockrell (capt), J Anderson, A Balbirnie, J Barnes (Championship only) P Chase, J Little, K O'Brien (Cup only), E Richardson (Cup only), S Singh, M Sorensen, T Stanton (Championship only), J Tector, S Terry, L Tucker.